Our fence and deck building services have been improved over the decades to provide you with a quality product that is sure to meet and exceed your every expectation. Our local decking company is here to help, offering quality advice, support, and building services to optimize your outdoor living space and overall property value. We’re here to provide the best fences, decks, and outdoor living spaces for Colorado homes, and our commitment to quality and precision is known throughout the state. If you’re in need of quality deck contractors along the Front Range, Rocky Mountain Fence & Decks is available to help improve your property! Since 1992, we have proudly served Northern Colorado with a wide range of services. Below is our list of cities and towns that we are happy to serve. If you live outside of the cities listed below, contact us to see if we can help! Why Choose Rocky Mountain Fence & Decks? With so many fence and deck contractors available today, it can be hard to make a choice that you are sure will provide years of enjoyment and satisfaction. Our professional deck builders work hard to create outstanding solutions for your home, relying on comprehensive experience and training to provide amazing outcomes each and every time. Regardless of the size or scope of your project, our expert team can work with you to create a plan. The plan will optimize the enjoyability of your outdoor spaces. We will also make the entire process as efficient and cost-effective as possible. We’re proud to be your Top Rated Local® deck company, and our services are here to exceed your high expectations! Oftentimes, getting started is the hardest part of any endeavor. If you are considering any of our services, from fences and cables to outdoor living areas in Fort Collins, Loveland, and beyond, be sure to reach out to us for a no-pressure quote! Our local decking company is open from 8 a.m. to 5 p.m. on weekdays to answer any questions or concerns. You can always contact us anytime by utilizing our form. 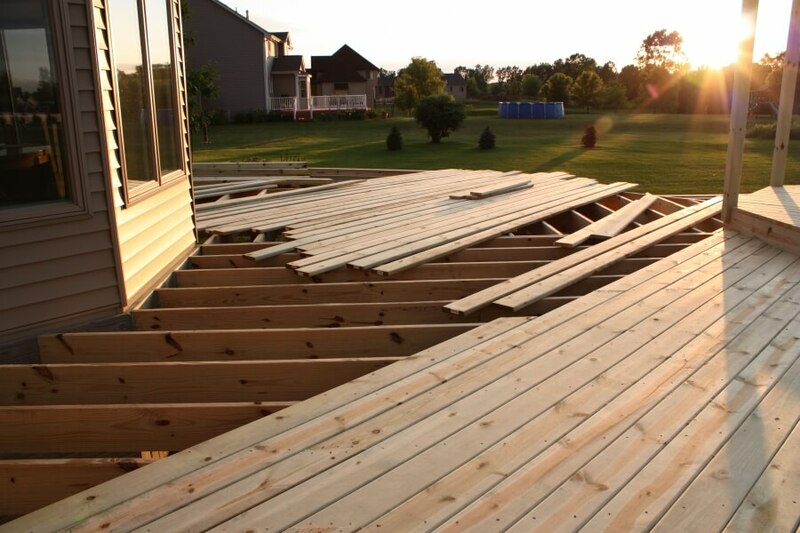 Our deck contractors will be sure to get back to you within two business days. Get a hold of us today to begin your project!